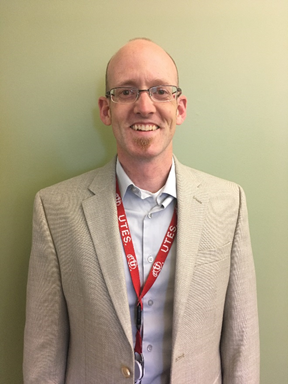 Seth Russell is currently working as a Research Instructor at the University of Colorado Anschutz Medical Campus, School of Medicine, General Internal Medicine in the Data Science to Patient Value (D2V) initiative. He is part of the Analytics Core whose focus is to fill gaps in current data analytic capabilities through application of machine learning, health econometrics, and causal inference to analyses of health care observational data. As an infomatician and software engineer Seth has been involved in the crucial effort of improving health care and reducing health care costs through the appropriate use of information technology at various institutions. Through his work history, Seth has experience with commercial software such as Cerner Millennium EHR and Oracle Hyperion, healthcare standards based platforms such as SMART on FHIR and InfoButtons, and build from scratch tools and techniques. Seth’s domains of interest are clinical information retrieval and extraction, imaging informatics, quality control and reporting, and the use of standards to improve the exchange of information as well as consistency of clinical care. Prior to working at University of Colordao, Anschutz Medical Campus, Seth worked for Intermountain Healthcare based in Salt Lake City, Utah. While at Intermountain Healthcare, he supported financial and administrative systems as well as worked at the Intermountain Healthcare Transformation Lab working to bring technology innovations into the healthcare field. In 2016 Seth received his Masters of Science in Biomedical Informatics from the University of Utah. Seth also has degrees in Business Administration and Computer Science from Central Washington University.